Pokemon GO Raid Bosses are a tough bunch, so bring a friend or two, and know who you're facing. Use our guide and you'll be beating them in no time! Despite what you might have heard, Pokemon GO isn't just about catching pokemon. A lot of trainers spend their time taking on Pokemon GO raids, facing off against powerful bosses for tantalizing rewards. But what exactly are Pokemon GO Raids? and why should you bother with them? Well, in this Pokemon GO Raid Guide, we'll aim to answer exactly that. We'll explain what Raids and EX Raids are in Pokemon GO, and give you some tips on the best ways to tackle them, list the Pokemon GO Raid Tiers, so that you're prepared to take on anything a Pokemon GO Raid may throw at you. Now that Gen 4 has been added into Pokemon GO, we've updated our list to include Gen 4 Raid bosses. We've placed them into the appropriate tiers and listed weaknesses. For everything else on Pokemon GO, including tips and tricks, a look at how Gyms work, what new pokemon have been added, and info on upcoming events, head over to our Pokemon GO Guides Hub. 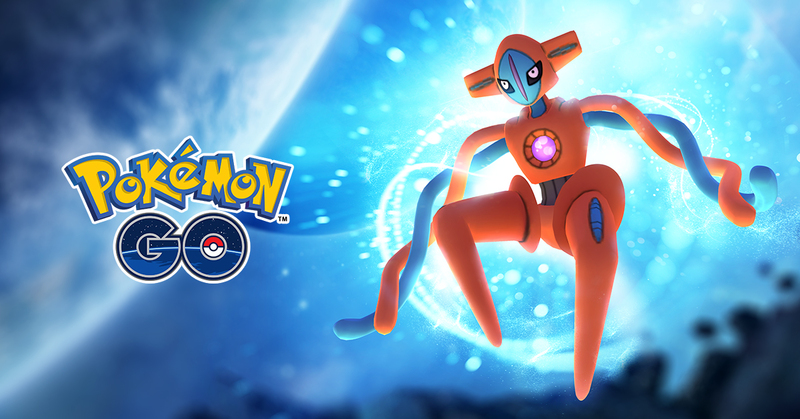 Gen 4 was added to Pokemon GO recently, bringing with it a handful of new Raid Bosses. As of the new update, Shinx, Bidoof, Kricktot and Buneary have been added in. We've listed their details below. Raids are limited time events in Pokemon GO which require you to team up with other players to take down a powerful pokemon. They are indicated on your map by a hatching egg with a counter above it. This counter lets you know when the Pokemon GO Raid will begin. You'll need to be a certain level to take part, though it's often worth putting the work in for, given that you get the chance to capture the Raid Boss after defeating it. There's a lot more to it, but that's the basic gist. We've included some more info below. Trainers must be level 10 to participate in Raid battles. Once they are level 10, it's just a case of getting a Raid Pass. To get a Raid Pass, simply spin a Gym disc. You can only hold one Raid Pass at a time. Additional Passes can be purchased from the store, for 100 PokeCoins Each. What is a Pokemon GO EX Raid ? Have obtained a Gold Gym Badge in the location where the EX Raid is being held. So while you're waiting for a Pokemon GO EX Raid invitation, you'll want to take a look at where EX Raids can be hosted. Fortunately, Niantic recently updated Gym details so that you can check to see which ones can host EX Raids. It'll be tagged when EX Raids can appear at the Gym you're taking a look at, so plan accordingly. We've established the list below based on what we've seen so far in the Pokemon Go Raids, but we have seen reports of Raid bosses moving either up or down one tier, without much of a reason. Next to each individual Raid Boss we've listed their weaknesses, and you should generally try and bring multiple Pokemon of the type that the Raid Boss is weak to, instead of a balanced group of Pokemon. Build your team around the weakness of the Raid Boss Pokemon - there's no point taking in Pokemon that won't work well against a boss. Take your Pokemon that have the strongest Charge Attack, since these are the attacks you'll mainly be using against the Boss Pokemon. Raid Boss Pokemon usually have ten times as much CP as normal Pokemon, so you could be there for quite a while. Remember to dodge! Swipe to either side as soon as you see a flash, and you should avoid any attacks from the Raid Boss. Raid Passes can be earned through fighting in a Gym, and you can only hold one Raid Pass at a time. Once used, a Raid Pass will give you access to a Raid for the hour that it takes place, so if you fail you can just head back in. Turn up the volume on your phone, it'll be easier for you to know when to dodge. The weather can make a huge difference to the power of the raid Boss you are facing down, plan for this and have a few different teams in rotation to suit a variety of weather conditions. Use the Nearby tab on your Pokemon GO tracker to bring up a list of available and active Raids. You'll see the silhouette of the Raid Boss, so can work out if you want to take it on or not. You get a free Pokemon GO Raid Pass every day for spinning a Gym disc. If you need help with any other areas of Pokemon GO, be sure to check out the wealth of guides we have on the game here at USgamer, including how Trading will work in Pokemon GO, as well as where to find region exclusive Pokemon. These are all the tips we have right now for taking on Pokemon GO Raids, but be sure to check back regularly for more information, like when new Raid Bosses are added in.